Traditional Russia National Costume. Russian Citizen 1910. Traditional Russia National Costume. Russian Citizen 1910. Old Russian characters in their costumes, to lovingly rendered drawings. People are shown in a detail reproduced, historical, Russian environment. Russian Holidays. Russian Ornaments, Graphics. Postcard 1910. Artist B. Zvorykin. The death, the devil and a demon. Old Russian characters. The death, the devil and a demon. Old Russian characters. Presentation of the Russian tradition. 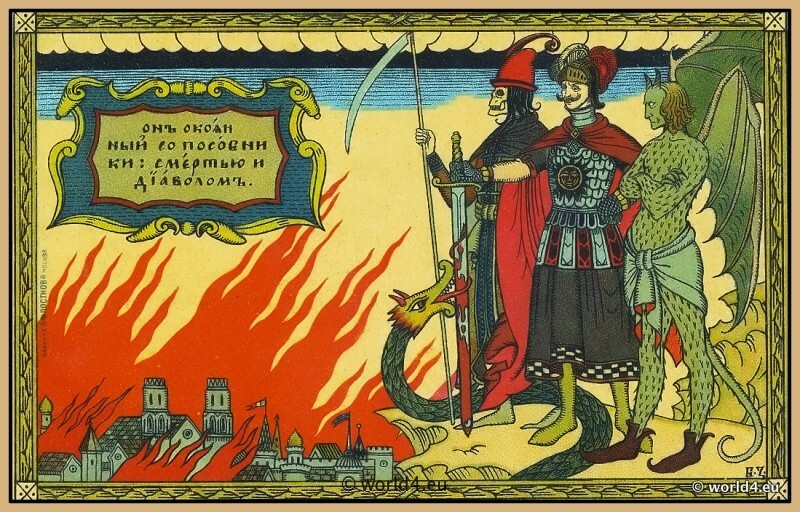 The death, the devil and a demon look a burning Russian city. Postcard 1910. Russian Knights in armor. Old Russian characters in their costumes. Russian Musicians. Traditional Russia National Costume. Russian Musicians. Traditional Russia National Costume. Old Russian characters in their costumes, to lovingly rendered drawings. People are shown in a detail reproduced, historical, Russian environment. 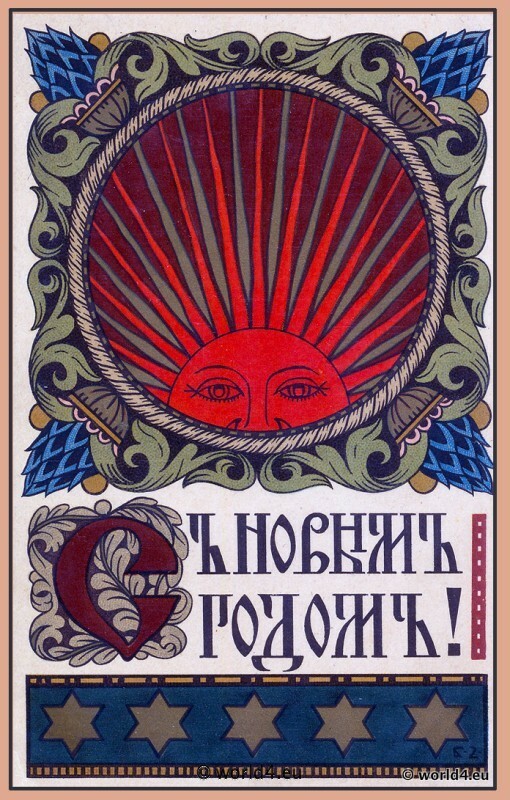 “Guslyar.” Artist B. Zvorykin. Traditional Russia National Costume. Russian nobility. Traditional Russia National Costume. Russian nobility Postcard 1910. Old Russian characters in their costumes, to lovingly rendered drawings. 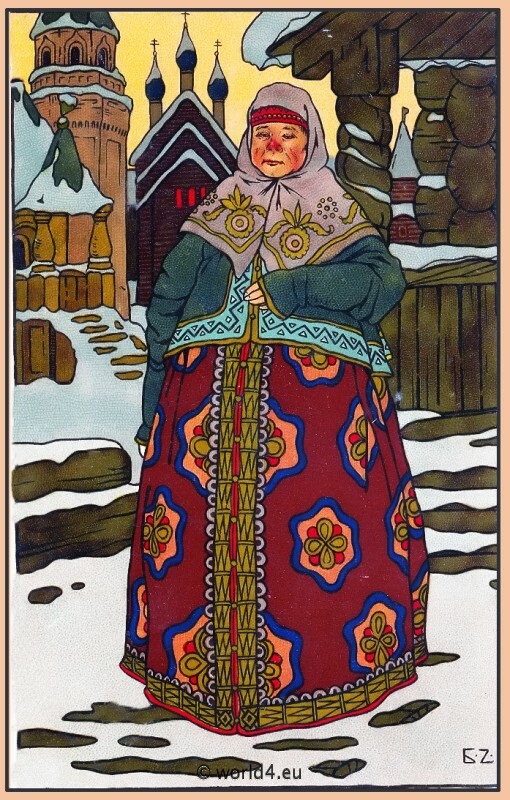 People are shown in a detail reproduced, historical, Russian environment.